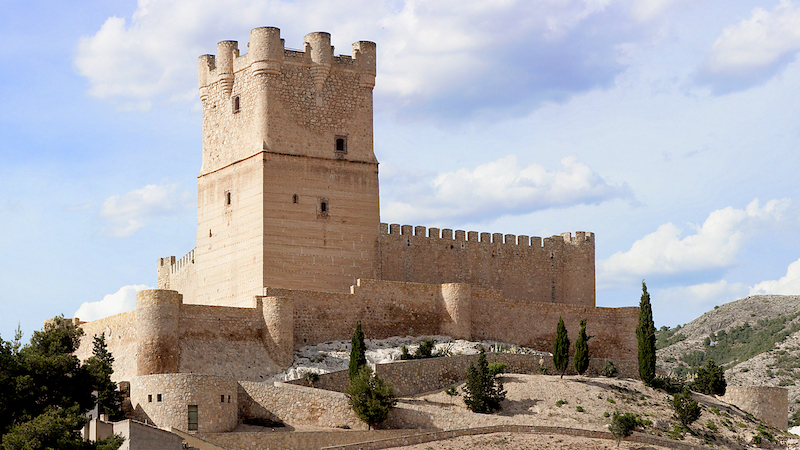 This spectacular fortress was built by the almohade empire at the end of the s. XII, like a refuge for the Muslim population of villena. 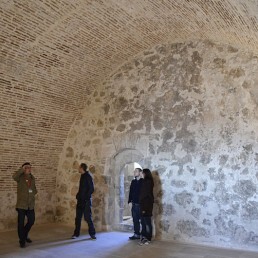 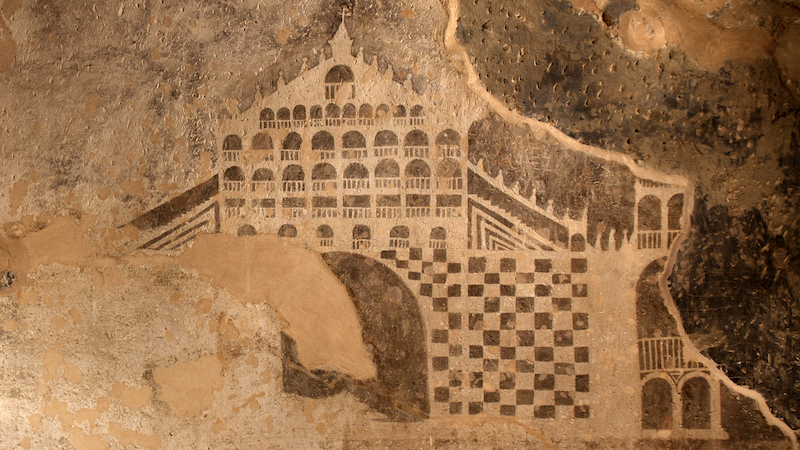 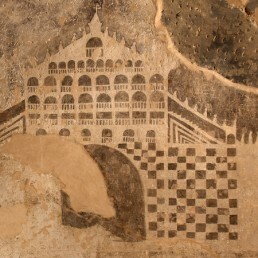 In this period the interior wall and the two first floors of the tower with their two impressive vault, unique to Spains castle salong with the fortress of Biar . 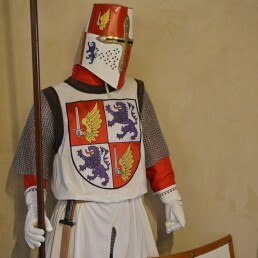 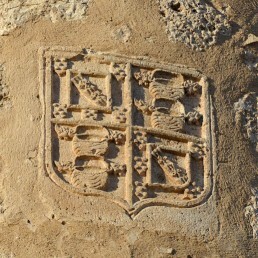 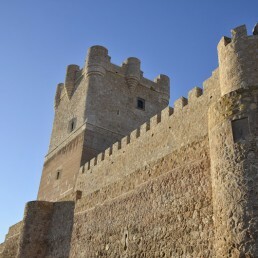 James I conquered the castle in 1240 and, after the signing of the Treaty of Almizra, the Señorío de Villena passed into the domain of the Manuel family, first feudal lords. 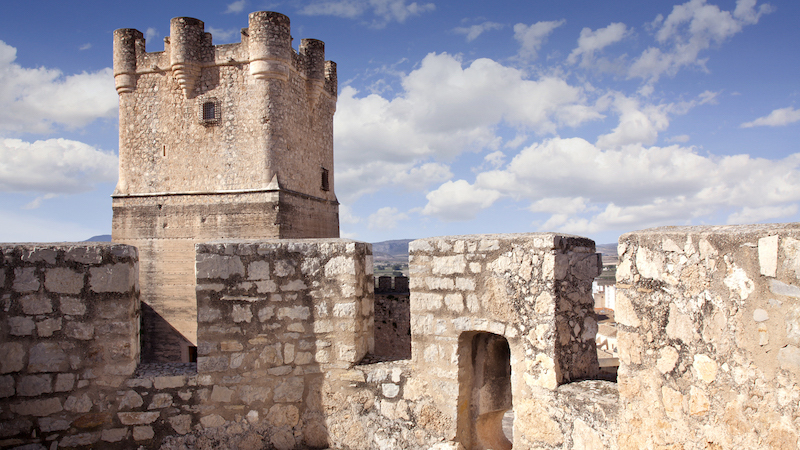 In the 14th century, Prince of Villena was the famous writer Don Juan Manuel, author of El Conde Lucanor. 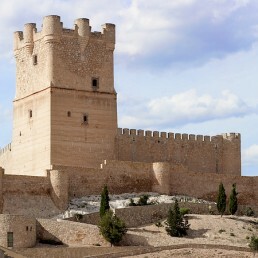 In addition, in the castle resided his second wife, Infanta Doña Constanza de Aragón, which forced to carry out the first reforms. 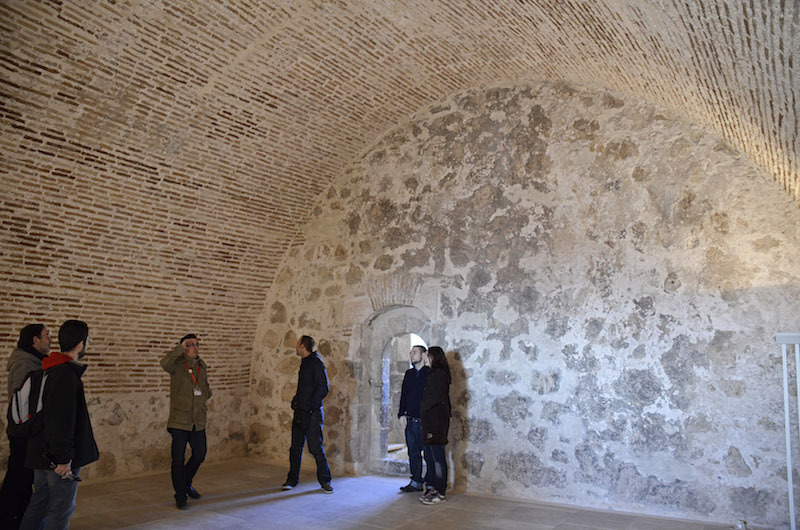 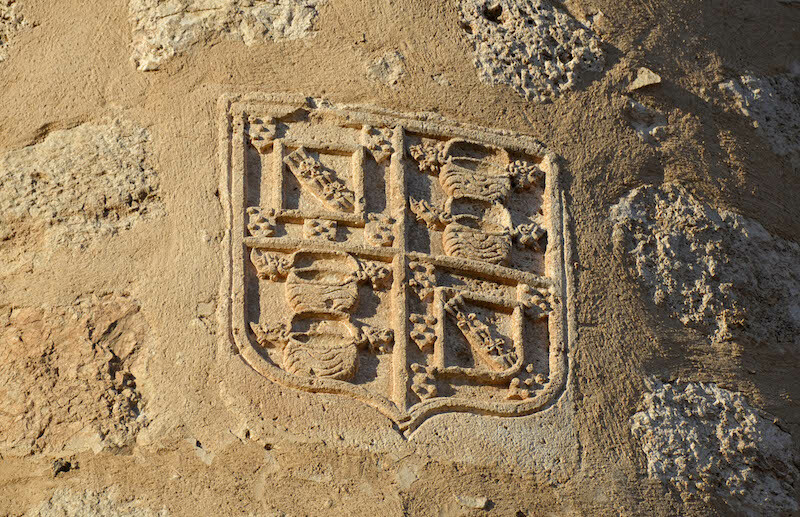 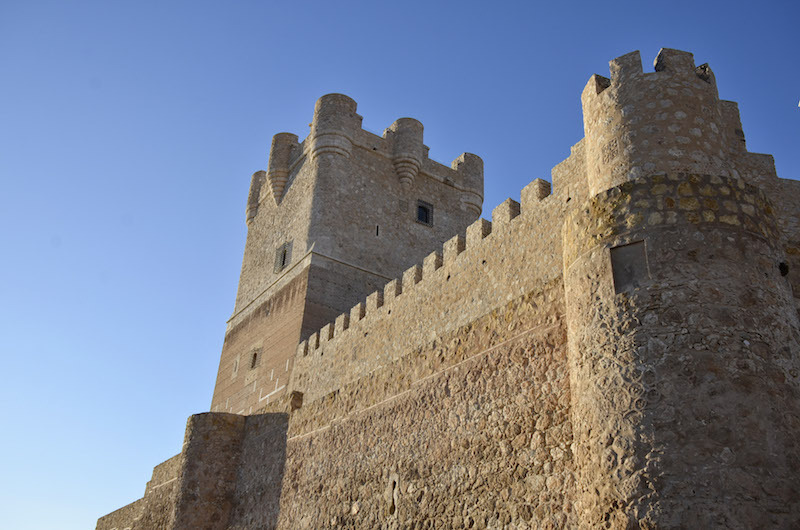 In the 15th century, the castle was ruled by the powerful Pacheco family, Marqueses de Villena, who added two new floors to the tower and built the second wall. 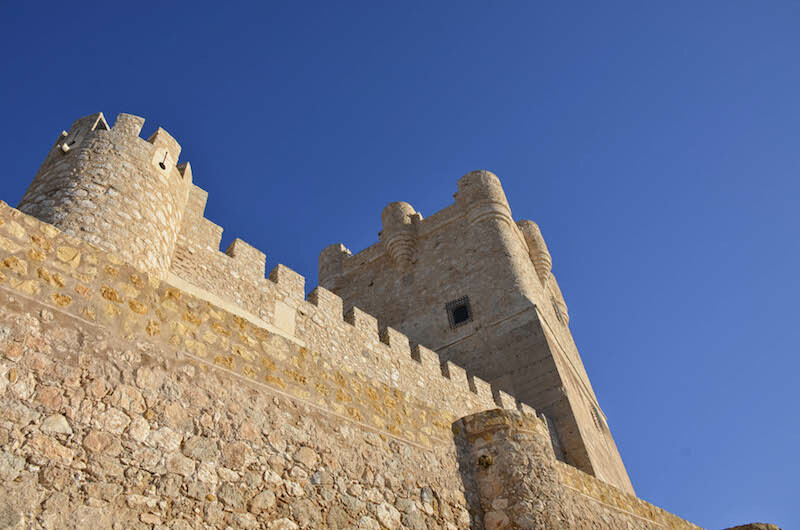 In 1476, the Catholic Kings snatched the castle from the Pacheco after a harsh siege, of which numerous projectiles remain in the courtyard. 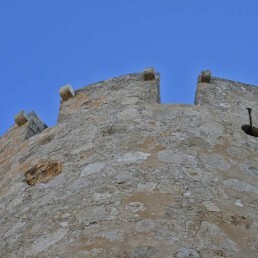 During the following centuries, the castle was protagonist in the wars of the Germanías, the Succession or the Independence, as they show the formidable artillery impacts existing and the graffiti of the tower, made by prisoners. 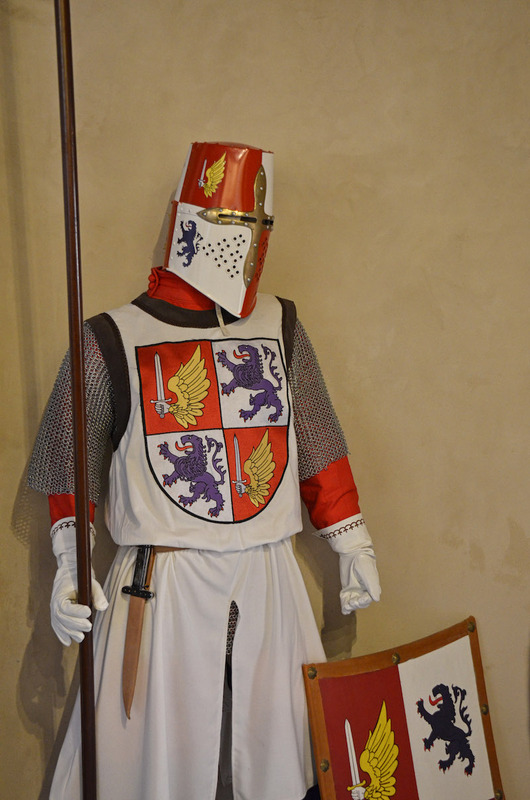 The guided tours start with punctuality, so please arrive early enough to buy the tickets. 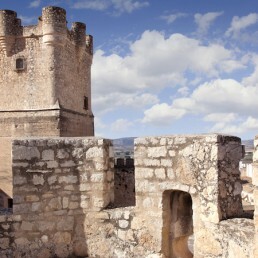 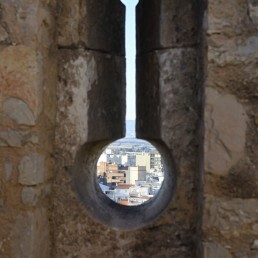 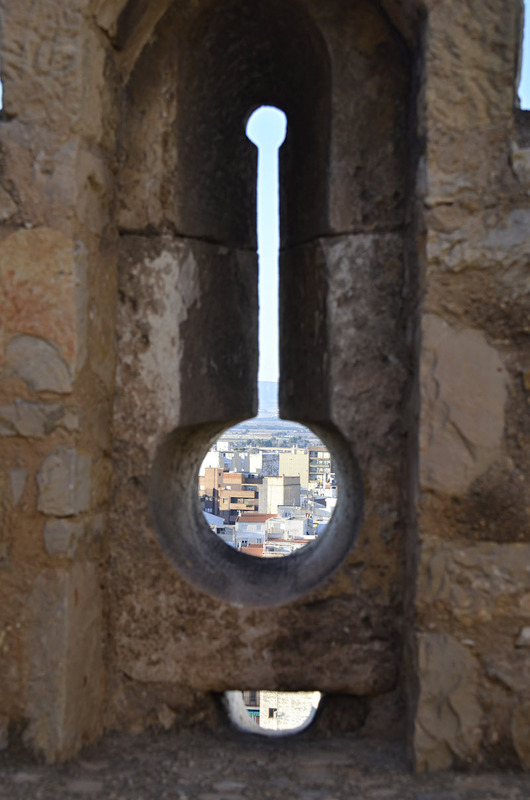 If you come to Villena from the A31 motorway, take the Villena Sur exit and follow signs to Castillo de la Atalaya. 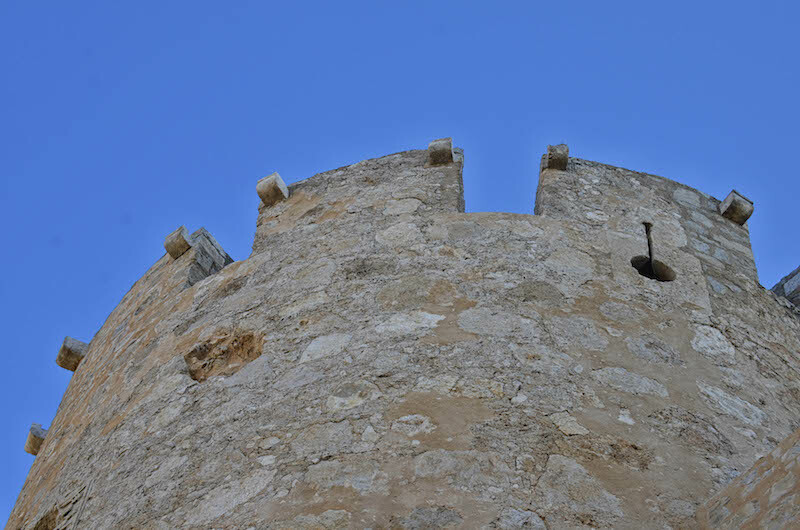 For the safety of the visitors, during storms with electrical equipment the Castle of the Watchtower will remain closed. 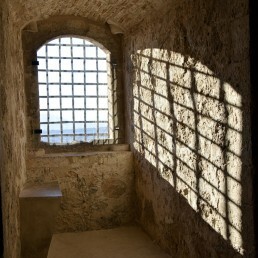 The entry of animals is not allowed, except for guide dogs. 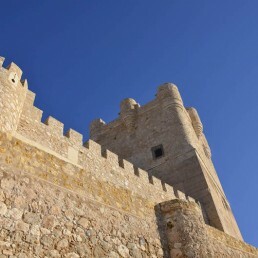 Turismo Villena is not responsible for tourist information regarding the existing Castle on different web pages. 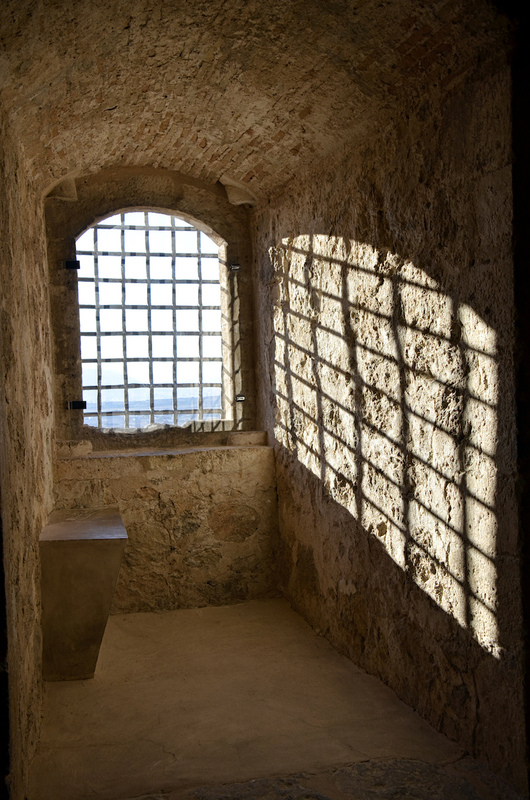 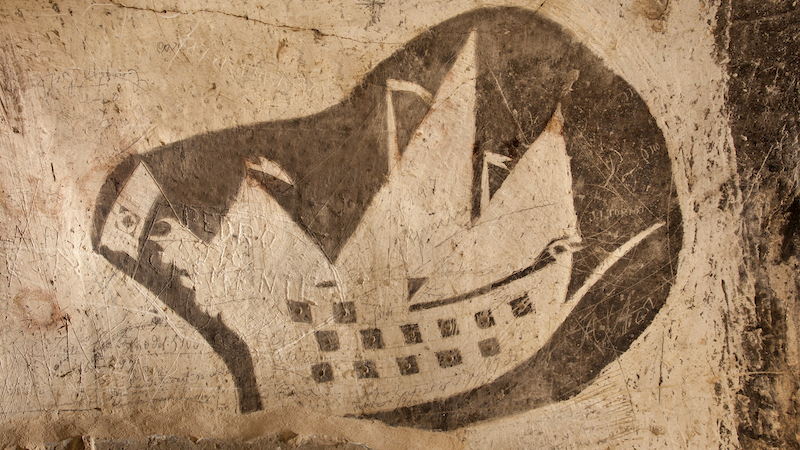 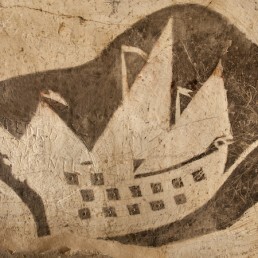 Get to know the Atalaya Castle through our original theatrical visits!